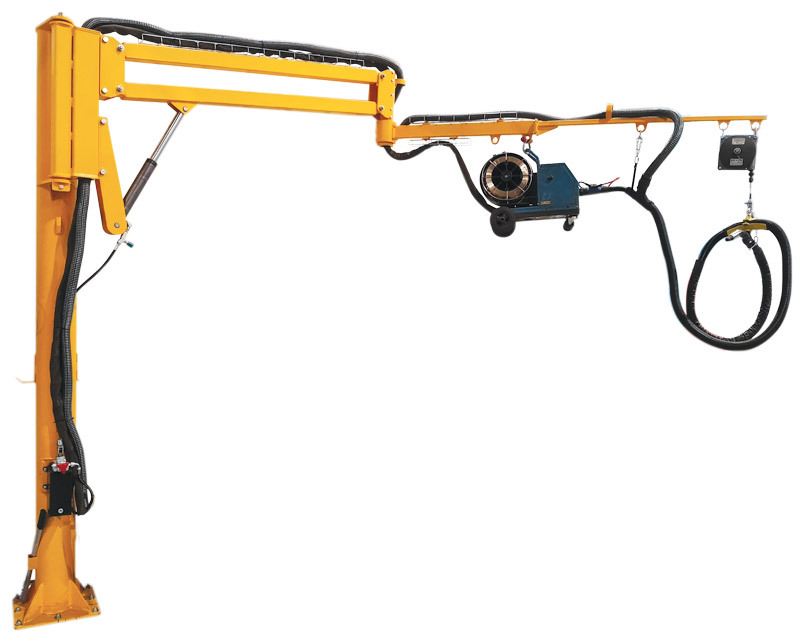 Pillar jib crane for indoor use. Main arm : partial rotation 245°. Secondary arm : partial rotation 290°. Cablofil provided for passage of beams. Pivot between the two hollow arms, for passing beams. Fitted with an hydraulic cylinder and manual pump. Butées de rotation à souder au montage ou réglables.